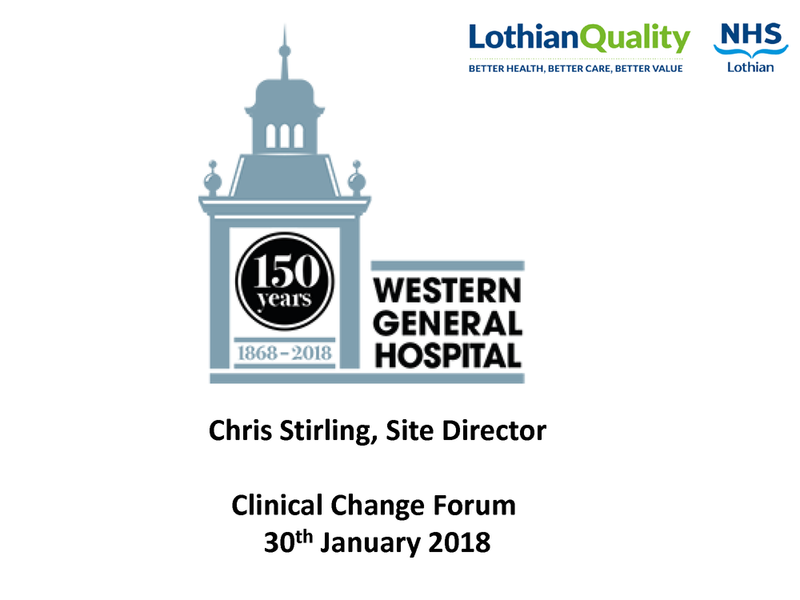 The Clinical Change Forum purpose is to encourage managers and together clinicians from across NHS Lothian to discuss challenging issues, ensure clinical engagement and leadership. It is a forum to share ideas, innovations and improvement work. It aims to change practice, improve outcomes, and reduce waste and variation, by developing our approach to invidual patient care and driving quality.